Dogs and cats are members of the family, so it’s only natural that we want to include them in our Christmas Day celebrations. Pets like being involved in the family fun, from gathering around the tree on Christmas morning, to helping us unwrap presents, so why not treat them to their own gifts that they can play with or feast upon! 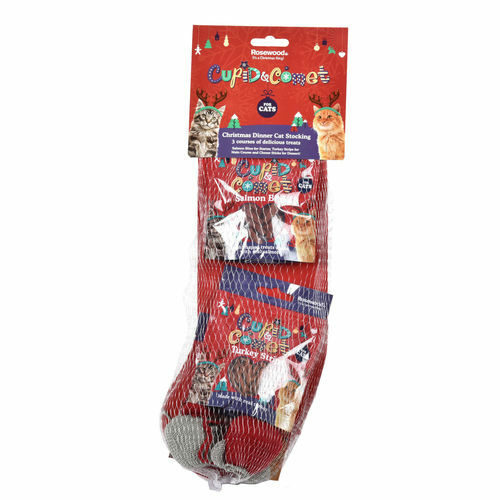 Featuring a three course meal for your cat to enjoy on Christmas Day with the family, this fun stocking will be a real treat for their taste-buds! For their starter it’s salmon bites, with a real turkey strip main course, finished off with a dessert of cheese sticks. There are even two little toy mice that can be played with throughout the day of festivities! 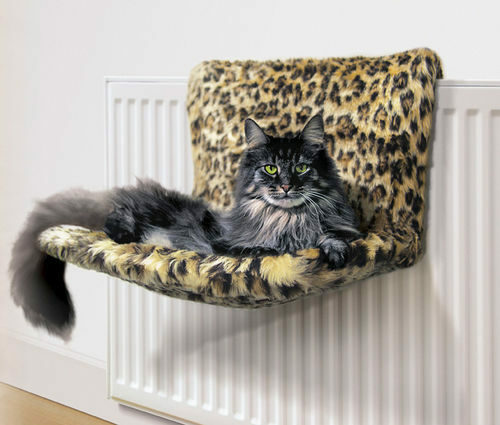 Give your cat the gift of pure luxury this Christmas, with this ultra comfortable cat bed that is easy to secure safely to a radiator. The sherpa fleece is removable and machine washable, in an attractive leopard print design that both you and your cat will love! 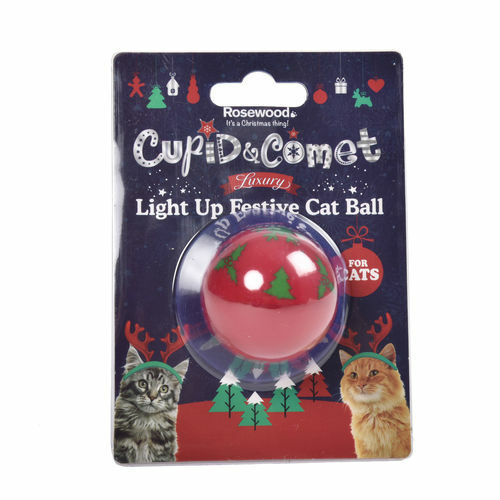 A fun little stocking filler, your furry feline will love playing with this colourful ball. It lights up and changes colour, flashing on impact as they play. The festive ball is sure to be a toy that will remain a favourite long past Christmas Day. 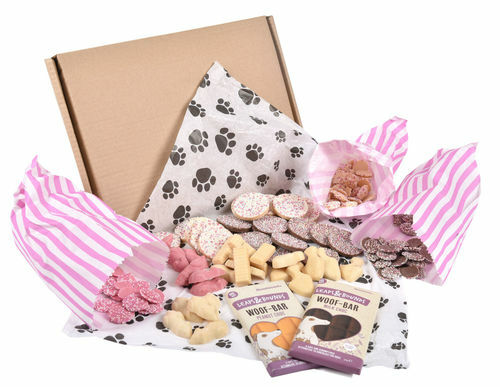 Including a wide selection of dog friendly chocolate, this gift box will see your pooch through to the new year and beyond! Satisfy their sweet tooth with these dog-safe chocs, for a reward and treat that they will absolutely love. 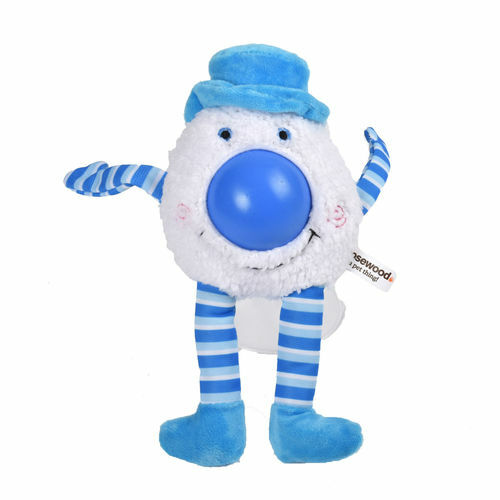 This blue and white snowball toy is both cute and cuddly! With a hidden squeaker in the nose, hours of enjoyment will be had as your dog plays or snuggles with the fun toy. 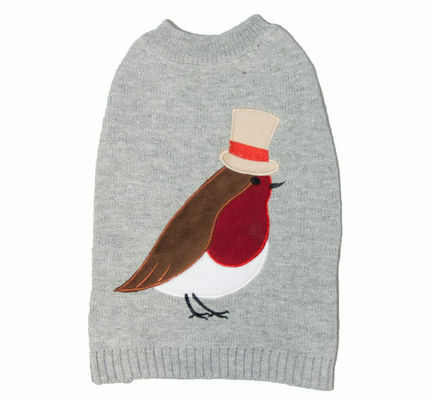 Available in a variety of sizes to fit your furry friend, this Christmas jumper is smart and classy, featuring a robin in a top hat! Great for letting your dog join in with the festive fun, the bright and colourful design will bring a sense of occasion to the big day! 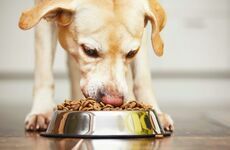 Browse our website for many more wonderful ways to treat your cat or dog this Christmas. They will love experiencing the magic of the day with you and your family, creating memories that you will treasure forever. 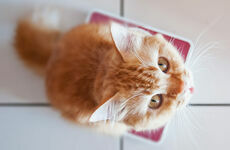 What Are The Benefits of Non-Clumping Cat Litter? Cat litter comes in two main forms; clumping and non-clumping. Most people are aware of the benefits of clumping cat litter - it traps unpleasant odours as well as being super easy to clean. But the benefits of non-clumping cat litter aren’t so obvious.